BlackBerry sues Facebook, WhatsApp and Instagram for infringing on its messaging patents – Royal Times of Nigeria. BlackBerry in the lawsuit claims that the social media companies developed messaging applications that co-opt BlackBerry’s innovations by using patented features touching on innovative security, the user interface and functionality enhancing features. BlackBerry was an early leader in the messaging market with the success of its smartphones and BlackBerry Messenger product in the mid-2000s. The patents cited in the lawsuit describe foundational elements of today’s messaging services. One patent deals with notifications for the total number of unread messages. Other patents address photo tagging and messaging time stamps. BlackBerry is seeking unspecified monetary damages. It also appears to be seeking a partnership. 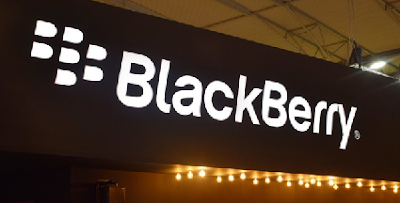 A spokesperson for BlackBerry in a statement said, “We have a strong claim that Facebook has infringed on our intellectual property, and after several years of dialogue, we also have an obligation to our shareholders to pursue appropriate legal remedies,”. “As a cybersecurity and embedded software leader, BlackBerry’s view is that Facebook, Instagram, and WhatsApp could make great partners in our drive toward a securely connected future,”. However, Facebook has brushed off the suit as little more than a desperate move from a fading company. Facebook’s deputy general counsel, Paul Grewal, said, “Blackberry’s suit sadly reflects the current state of its messaging business. Having abandoned its efforts to innovate, BlackBerry is now looking to tax the innovation of others. We intend to fight”.